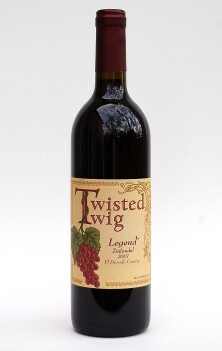 FROSTED TWIG™ is a brand name owned by Twisted Twig Winery Corporation chosen to define and give an identity to our delicious dessert wines. 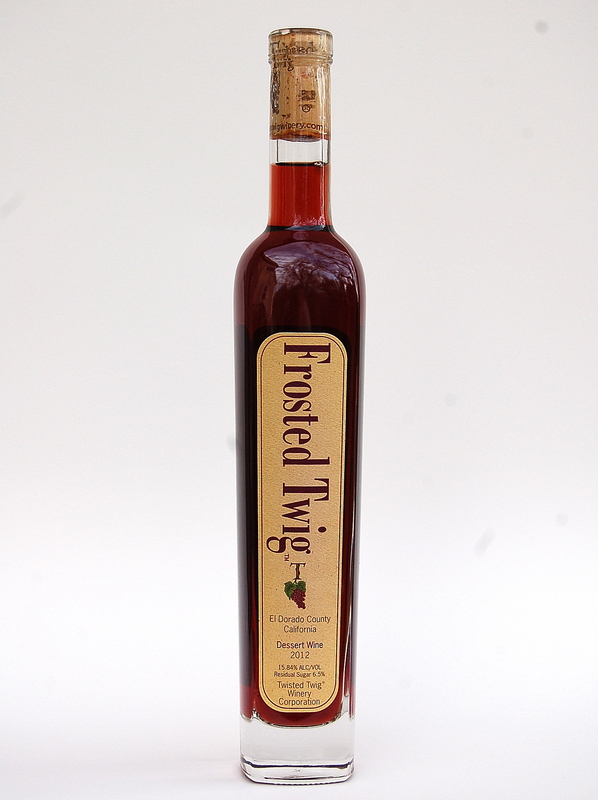 Frosted Twig™ 2012 is a Red “port style” dessert wine made from a base of Viognier blended with a small amount of Petite Sirah. 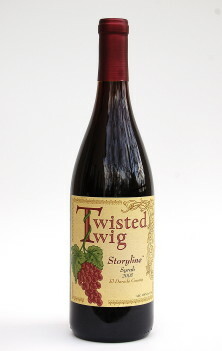 It has incredible robust flavors and palate of a well aged tawny port. When it is served chilled and comes to temperature flavors of black cherry over caramel seduce the taste buds. 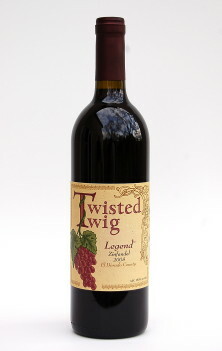 Frosted Twig™ 2012 Red is a “port style” dessert wine made from a base of Viognier blended with a small amount of Petite Sirah. It has incredible robust flavors and palate of a well aged tawny port. When it is served chilled and comes to temperature flavors of black cherry over caramel seduce the taste buds. In 2012 the Viognier grapes were allowed to hang on the vine until the brix was above 29 and the fruit was overly ripe with mature and intense Viognier characteristics. When everyone else harvested in 2012 we waited stuck our neck out, took a gamble and it paid off. We crushed and allowed the skins and seeds to stay in contact while cold soaking for three days. A special yeast was selected to bring out the tropical fruit flavors of the Viognier grape. We then fermented on the skins in small fermentation bins for five days. The caps were hand punched twice a day with vigorous agitation. Fermentation was stopped on the 5th day when we pressed the juice and added flavorless neutral grape spirit (brandy). We then monitored the progress of the flavor profile while the wine aged in recoopered French barrels for 18 months before bottling. We made the decision to bottle when the customers at the tasting room randomly sampled and over a period of months decided it was perfect. The original name was going to simply be Frosted, intended to define a sweet dessert wine that is like the topping off of a great meal with the frosting on the cake, a little something extra and a little something special. A customer from Florida collaborated and suggested Frosted Twig™ to tie in with our corporate name and I think it was a brilliant suggestion and has been very well received. The labeling with the large “T” and small Frosted Twig™ is designated for our white dessert wine while the label with the dominant Frosted Twig™ and small “T” is reserved for our red dessert wines. Pair with creamy cheeses, pineapple croissants, lemon tart, white chocolate and a variety of desserts.